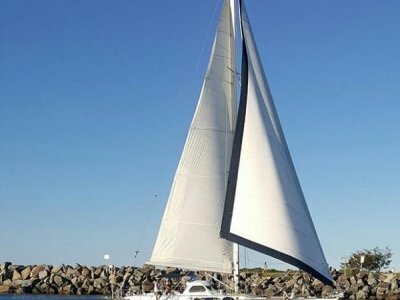 1985 Gulfstar 60 for sale. The Gulfstar 60 is a known bluewater greyhound of the sea. A rare find in our local waters. This mile munching, stunning example of the popular Mark II version from 1985 is equipped with every conceivable extra and ready for new ownership. She presents in turn key condition after upgrades in excess of 200k AUD over the last 2 years. A detailed comprehensive Inventory is available to interested buyers. Some of the outstanding features of this yacht are the generous sized 4 cabins, in particular the enormous aft master suite with private ensuite, oversized headroom throughout, a galley better than home, and an overall 5 star feeling from the moment you step aboard. Having spent 1 week on this fabulous yacht, we know that an inspection will not disappoint. Safety equipment and electronics are all up to date and very extensive. Please contact DBY Boatsales to arrange the inspection of a lifetime and start your next journey. Australian flagged a huge bonus and priced with all taxes being paid and fully imported. Engine Room : Full walk in engine room with Genset and chargers etc. Heat and sound insulated. Accommodation Notes : Stunning features within this yacht are the generous sized berths and cabins with 5 star quality feel throughout. Huge headroom, beautiful inline galley to portside, very large fridge and freezers, super comfortable saloon and seating to both sides. 4 spacious cabins can sleep 8 in comfort with the owners state room being simply enormous. It has it's own double ensuite with bath and full length mirror 2 double cabins forward with walkthrough toilet/vanity and full standup shower recess in forepeak. 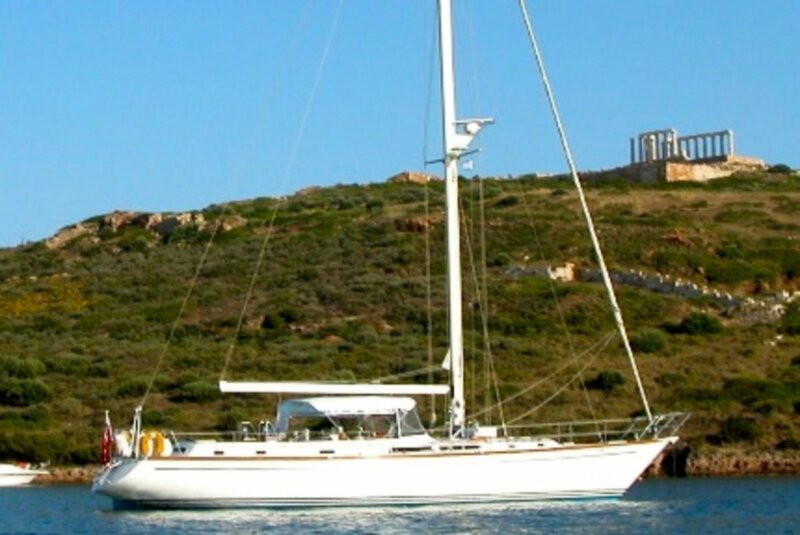 1 double bunk cabin to starboard opposite gakkey behind a large and comfortable nav station. Galley Notes : Inline galley to port, new Force 10 oven with grill plus 240v microwave. Entertainment and Appliances Notes : 2 folding bikes, Inflatable kayak, 6 set snorkelling gear, 1 set skin diving fins, 2 spear guns, 3 set scuba dive gear, 2 game rods, S?S rod holders x 2,2 hammocks, 2 deckchairs, handlines plus tackle box. Bilge Pump : 2 x electric auto, 1 x manual, 1 x electric auto sump (grey Water) 2 emergency pumps wired and ready to go. 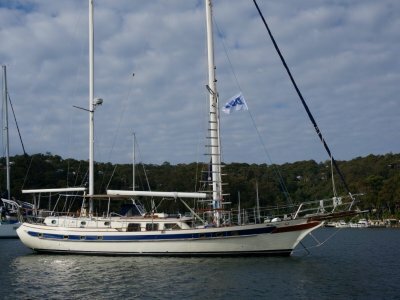 Deck Gear : 2 Barient S/T electric primary winches, 2 Barient S/T main outhaul and mainsheet, 2 mast winches plus 2 secondary cockpit winches. 5 x No4 polyform fenders with covers, various spare lines. 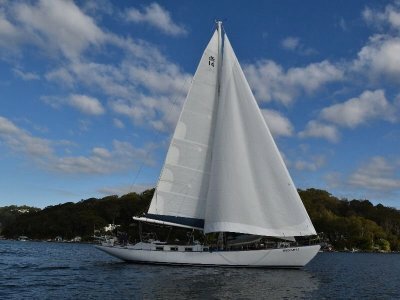 Sail Inventory : In mast self furling main sail new (2016) Furling headsail (new 2016) New staysail (2016) spare headsail, cruising spinnaker with snuffer plus smaller heavy cruising spinnaker. New Spinnaker and sock. Electrics : 12 volt throughout vessel excluding bow thruster and anchor windlass which are 24v. 110.220/240v shore power. 110v Onan Genset. Electronics Navigation : Raymarine c80 chart plotter with wide charts, Raymarine C435 at helm with wide charts as backup. Toshiba laptop with Maz Sea for primary nav, (2016 world charts) AIS Vespa marine (new 2016) Iridium Go satellite phone, Horizon VHF GX 2000 Matrix with AIS, B and G wind, depth and speed (2016), Simrad autopilot (2016) Marine power stereo system, Raytheon 48nm radar, Furuno Navtex 300, Bad Boy Wifi booster with aerial (new 2017) WiFi onboard modem, Victron battery monitor. Safety Gear : Built in engine room fire suppression system, fire extinguishers throughout, flares, v-sheet, fire blanket, grab bags, emergency food and water, medicines, flare guns, 8 pax liferaft new 2016,8 inflatable lifejackets new 10/2016.2 EPIRB, 3 PLB 2016,2 liferings on transom with light, MOB recovery system on transom, emergency nav lights, torches, emergency steering. 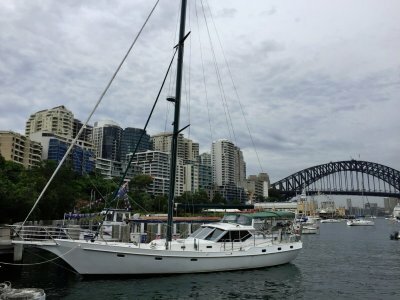 Covers : Fully enclosed central cockpit bimini with clears all round (new 2015) UV strips on main and headsail(new 2016) life raft cover, bbq cover, outboard cover, boat covers 1/2 boat plus 2 shade covers. Ground Tackle : 55kg Delta with 120m 3/8th chain primary anchor, 35 kg Delta with 25 metres chain as spare. 15kg Danforth as stern anchor, 200 metres rode 20mm as spare, Para anchor and drogue. New 100m chain.